According to an article published on NYTimes.com, one out of 5 Americans have overdue medical debt in their credit report. Not only that, more than half of the collectibles in credit reports are usually health related debt. This is based on the latest federal report. The article discussed that this type of debt is different from the rest. This is because it is a debt that you usually have no choice but to make. Health is something that you cannot forego or delay. If you need to pay for a medical treatment and you need it now, there is nothing that you can do but to borrow money for it. If not, you could make things worse and end up developing an illness that can endanger your life. 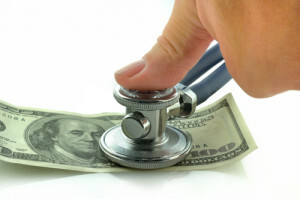 When you are faced with medical debt, you cannot think twice. It is not like home loans, student loans or even credit card debt. These three can be delayed if you want it to and it will not cost your life. But when it involves your health, you know that you cannot gamble with it. You will plunge through the deepest debt pit if it means saving a life. But here’s where it gets ironic. If you do make yourself better by borrowing money, your debt troubles could make you sick once more. It is an unfortunate cycle that may very well keep you in debt for a very long time. Like any other debt, it is possible for you to manage your medical debt – as long as you know the rules. You need to understand and implement the right practices so you can keep the big medical bills from ruining your financial life. Here are a couple of tips that you can use. Go for where it is cheap as much as you can. If you have to borrow money in order to get medical help, make sure that you get the cheapest option. Of course, you do not want to sacrifice the quality of health care that you will get. However, there are options that will not cost as much but will give you the health care and treatment that you will need. For instance, if your doctor can operate on you in a local hospital, you may be able to save on the cost of using the facilities. Or if you can opt for an outpatient procedure, then that is what you should look into. Ask your physician if they can give you the cheapest brand of medicine, then that will help you afford your medications. Just make sure that anything that you can save will benefit your out-of-pocket costs. Check your medical bill thoroughly. This is very important. Sometimes, your bill will contain costs that you did not benefit from. It can include services or treatments that you did not get. Sometimes, the people making the bill make mistakes too. You need to check every detail of your bill and dispute anything that you know was not done to you – including the quantity of what was given to you. Feel free to call the billing department of the hospital or healthcare facility to ask questions. Do not negotiate your medical bill immediately. Another thing that you need to remember is to wait a few weeks after you receive your bill before you call about it. In most cases, the medical service provider will not negotiate if the bill was just sent to you. You can wait a couple of weeks and not do any harm to your credit report. Just make sure that your medical bill will not reach the collections stage. Otherwise, it would be more difficult to negotiate. According to a published report from ConsumerFinance.gov, debt collection is a top complaint from consumers since 2013. There is an estimate of 43 million consumers with medical debt problems that are already in collections. Try not to add yourself to this statistic. Be polite when calling about your medical bill. If you want to ask for a lower price, remember that politeness will get you further than being right. Try to keep a level head and be courteous at all times. You are asking a favor after all. You need to get on the good side of the people at the other end of the line. That way, they will be more willing to help you out. You may be able to get them to waive some of the fees or at least, give you better payment terms so it will not be too heavy on your budget. Inquire if you can get a discount if you will pay in cash. If you have the capabilities to pay in cash, then make sure you can get something out of it. This is what you will use as leverage. Of course, you will not give this immediately. You will not tell them that you have some cash to use as payment. Negotiate first and when you have haggled back and forth, inquire if you can get a discount in case you can pay in cash. Let them know that you will do your best to acquire the finances – you just want to know if it will be worth your while. Sometimes, they do not want to go through all the trouble of collecting installments that they will agree to your cash payment – even if it is with a discount. These tips should help you lower the total medical debt that you need to pay for. All of your effort to lower the amount that you have to pay for your medical bill will help you in the long run. Even if you have a health insurance, you need to be meticulous when it comes to what you will pay for your medical treatments. Here is a video that shows you the devastating effects of medical debt. Evidently, there are so many negative things that can happen if you do not take care of your health-related debt. Here are some of them. An article published on TheGuardian.com revealed that your medical bills will not be as destructive to your credit score as it used to. This is thanks to the efforts of New York attorney general Eric Schneiderman. New policies have been enforced to make sure that unpaid medical bills will not be placed in consumer credit reports until after 180 days of being delinquent. This is to help consumers who are waiting for their reimbursement from their insurance companies. But despite this, you need to be careful. It can still ruin your credit history if you do not act fast. If you have to reimburse bills from your insurance company, then make sure they comply immediately to avoid going into default. Stay on top of things even if your health insurance is comprehensive. When you currently have unpaid medical bills, you may have trouble getting treatments in the future. Some may refuse you additional treatments until you pay off what you owe before. Or if you owe another hospital, you may personally be hesitant to go to the doctor because you know that it can result in more medical debt for you and your family. Like any other debt, when you have unpaid medical bills, you will feel some form of emotional stress. You cannot sleep well because the worry that you will feel as you fail to make payments will be a burden to you. Not only that, you will feel embarrassed that you are unable to pay your dues. It will be difficult for you to enjoy your life especially when the collection calls start coming in. Try to keep yourself from this stress by managing your medical debt. Unless you take care of this debt, you might suffer the consequences for a long time. The list is actually beyond these three. So be wise when it comes to your medical bills and get help if you think it is difficult to do this on your own.